Company says it will reassign staff. MONTREAL — Fashion retailer Le Chateau plans to close about 40 additional stores across Canada over the next three years even as it hopes to swing to its first profit in six years in 2016. The Montreal-based company has been shuttering underperforming stores and renovating others as it "recalibrates'' in the face of growing online purchases. It closed 11 stores in the last year to reach 211 locations and plans to close another 14 in 2016. 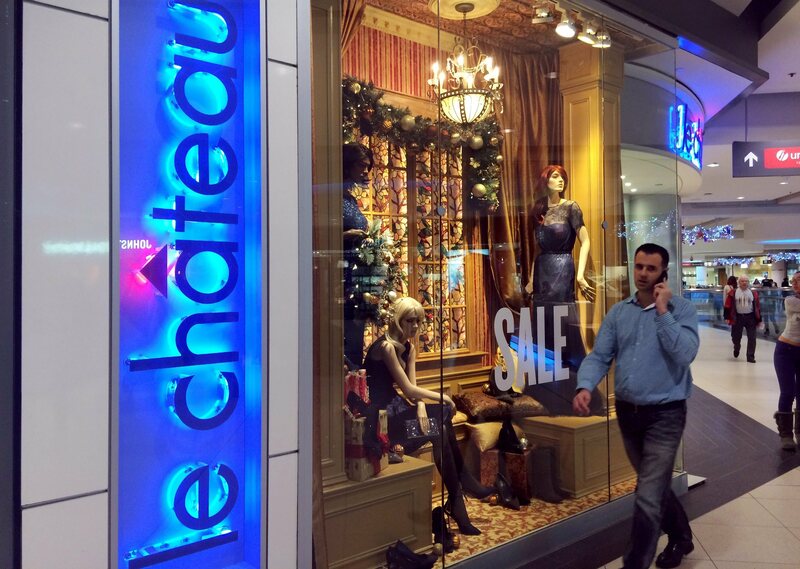 By early 2019, Le Chateau expects to shrink its retail network to about 171 stores. Le Chateau declined to say how many of its 2,400 employees might lose their jobs, saying most will be absorbed into nearby stores or be eligible to work in its the growing e-commerce operations. Franco Rocchi, the retailer's senior vice-president sales and operations, said some stores identified for closure at the end of their leases may get a reprieve if they can negotiate lower rents or the shopping centres where they are located improve. Le Chateau expanded in the 1980s and 1990s, but like many retailers has been adjusting to a change to online shopping. "Today in the post-digital world, your brand is as close to everybody as their cellphone, so having all this real estate...isn't necessary anymore,'' Rocchi said in an interview. The chain lost $35.7 million for the 12 months ended Jan. 31, compared with a $38.7-million loss a year earlier. Sales decreased 5.3 per cent to $236.9 million, as same-store sales slipped 1.9 per cent. Rocchi said Le Chateau sees "a path'' to turning a profit this year. Online sales grew 34.8 per cent last year and are trending at 50 per cent. Savings from store closures outweigh additional online sales, however the company is targeting for them to account for 10 per cent of overall sales within two years. Industry analyst Jean Rickli of J.C. Williams Group said Le Chateau has been slow in closing stores and embracing e-commerce.